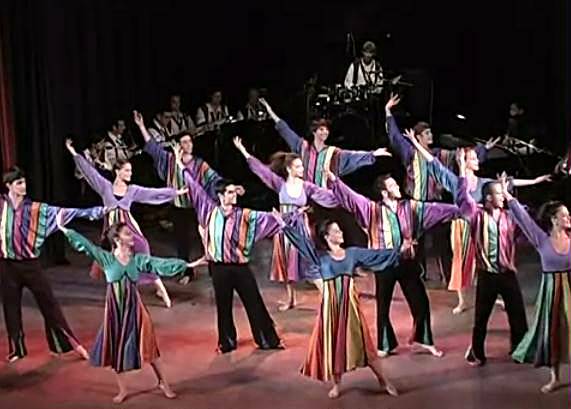 We've been to Israel many times, but somehow never got to attend the Tzabarim Israeli Folklore Dancing Show that's been performed at the Jerusalem International YMCA, across the street from the King David Hotel for the last 32 years. In January, we're heading back to Israel to check out the local comedy clubs and other aspects of Jewish humor in Jerusalem and Tel Aviv. This time, we're going to see the folklore show. Many thousands of tourists and official guests have seen the show, which is exciting, dynamic and filled with energy and excitement. The program features singers, dancers, and musicians of the highest artistic level, who present the spectrum of cultures existing in Israel, each with its own compelling and unique aspects. The show is designed to accommodate tourists who come to Israel from different countries. You can get a taste for the enthusiasm of the performers and the audience from this video segment. Enjoy!